As a nurseryman of over 30 years, I’m pretty sure I’ve heard just about every garden problem you can imagine. Two of the most common problems gardeners face, especially here in the drought conscious West, are choosing tough plants for neglected areas and hillsides. These are usually areas in the garden, let’s say where the hose won’t reach and/or places you just don’t want to fuss over. Often, these folks have already tried planting several things in these difficult areas with little or no success. 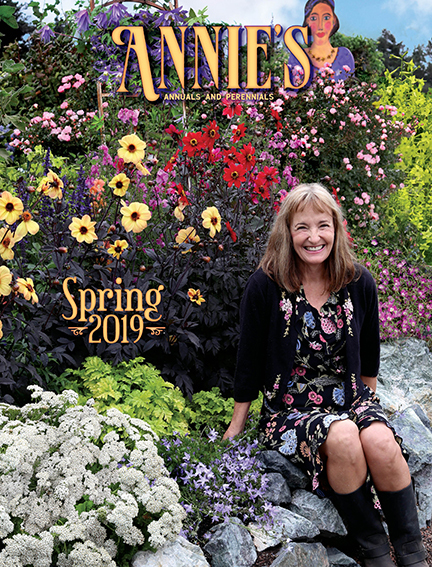 Before sharing some great selections, I have some very important advice: Anything you plant is going to need some water to get established and some occasional moisture during the first year as it puts out new roots. Just because a plant is drought tolerant, doesn’t mean you don’t have to water it. Secondly, you’ll want to do some soil preparation and make sure the drainage is adequate (as opposed to hard-pan clay). 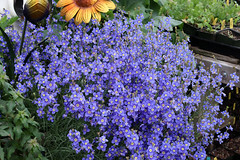 For a sunny, dry area, I always recommend these two EASY, neglect-proof shrubs – California native Ceanothus ‘Joyce Coulter’ and Mediterranean perennial Echium fastuosum ‘Pride of Madeira’. 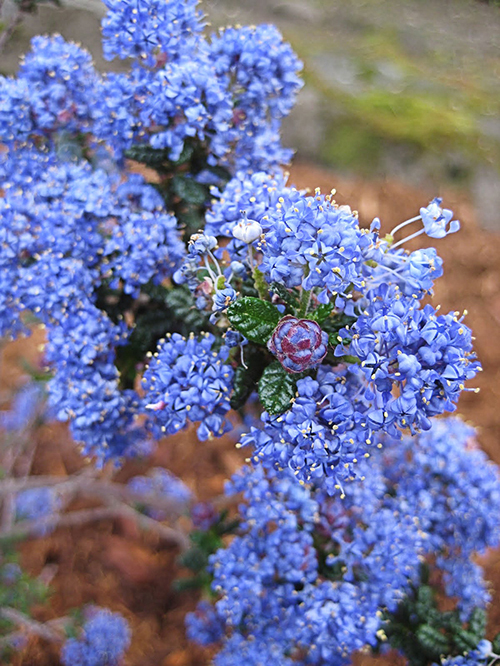 Ceanothus ‘Joyce Coulter’ is perfect for dry slopes and anywhere you want a tough, evergreen groundcover. This Ceanothus aka “California Lilac” is a fantastic, long-lived, large-scale groundcover, growing up to 2’ tall and 8’ across. It takes up a good amount of space with almost no care. Covered in fragrant vibrant blue blooms in Spring, it’s especially attractive to bees, butterflies and hummers. Evergreen, clay tolerant and fire-resistant, it also boasts good deer resistance. 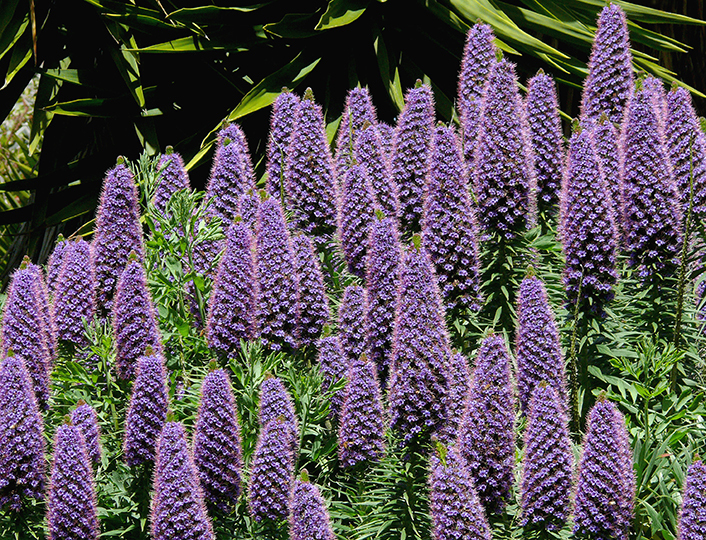 Echium fastuosum “Pride of Madeira” – just one of several Echiums that thrive in poor, dry, well-drained soil. Photo courtesy James Gaither. Echiums have a well-earned reputation for being incredibly tough and resilient. 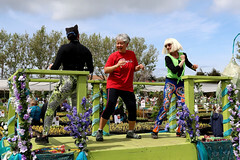 Whether it’s the bushy purple-flowering Echium fastuosum, the conical spires of sparkling pink Echium wildprettii, with its gorgeous rosette of silvery leaves or the electric blue flowers of Echium webbii, these plants get high-marks for thriving where other plants bite the dust. Unparalleled bee and hummingbird magnets, they’re deer resistant, too. Need a large almost ever-blooming shrub for a HOT, DRY, DEER INFESTED location? 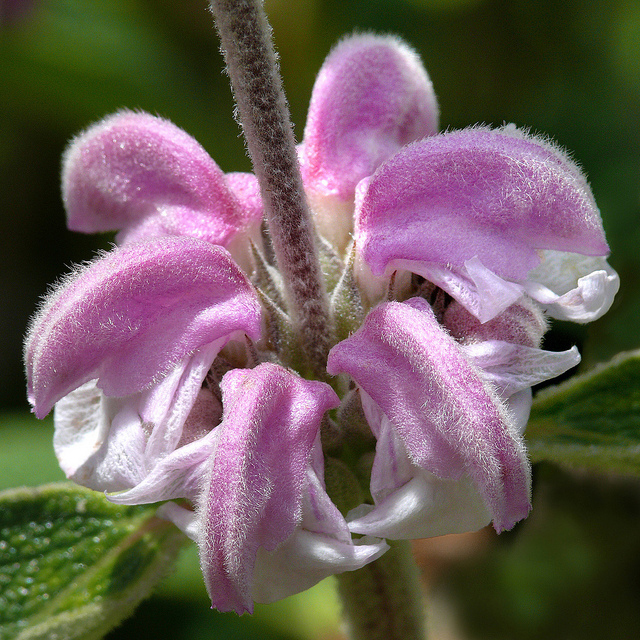 Phlomis purpurea is your plant! 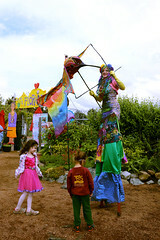 Photo courtesy James Gaither. Salvias are always a good choice but here’s an even easier, lower care alternative – Phlomis purpurea. Known as “Jerusalem Sage”, it creates a large, low clump of big, felted, textured leaves with curving, lipped lavender flowers on upright branches over a surprisingly long period – at least Summer to Fall. 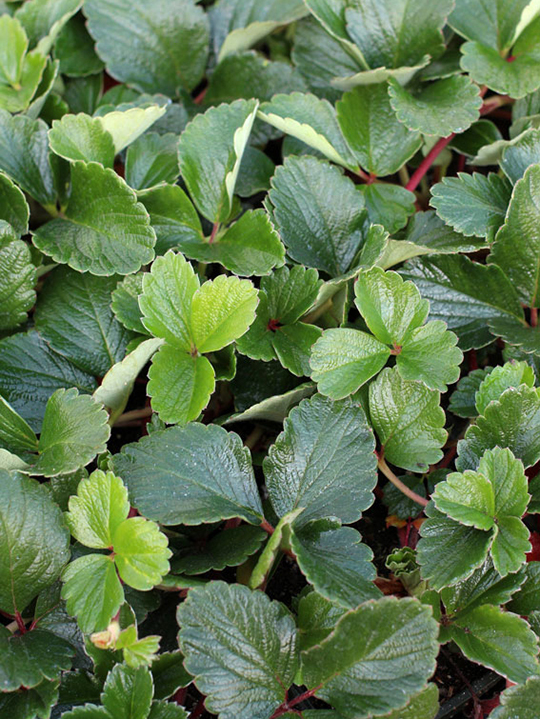 Goof-proof, evergreen Eriogonums thrive on neglect and prefer dry, clay soil. 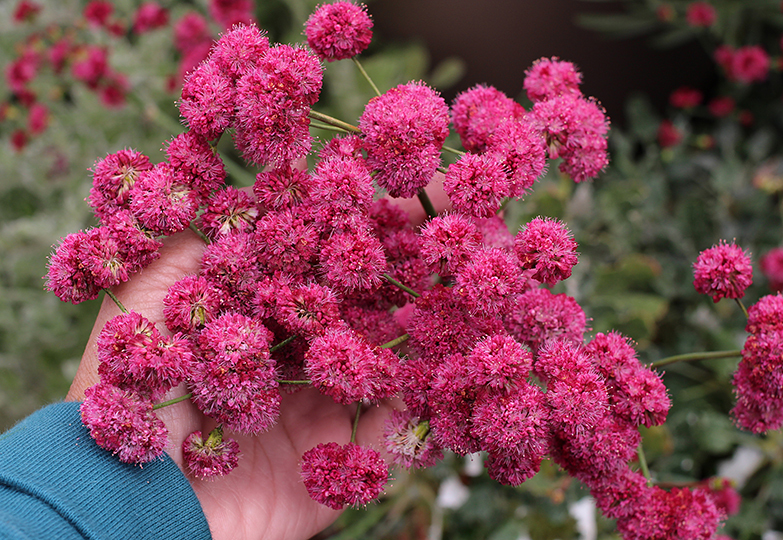 Consider another California native: Eriogonum. Known as “California Buckwheat”, these plants define resilience. Most are low and spreading, with flower colors ranging from sunny yellow ‘Ella Nelson’s Yellow’ to the pink shades of Eriogonum grande rubescens and Eriogonum latifolium or the white of Eriogonum parvifolium. One of the absolute BEST plants for local pollinators. 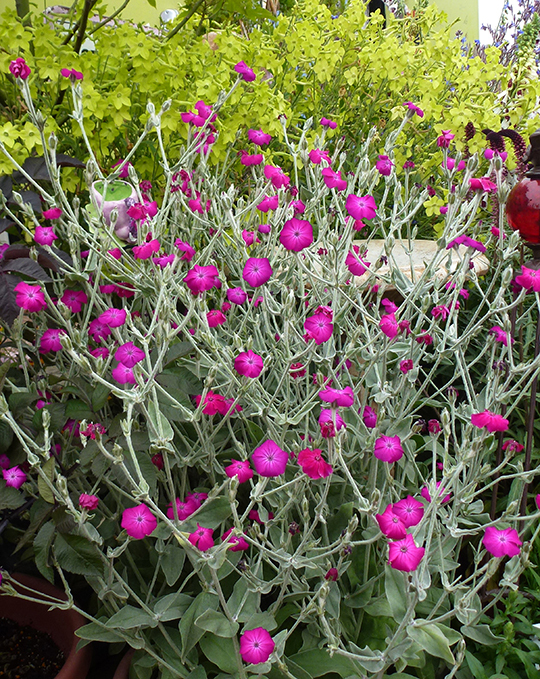 Easy-going Lychnis coronaria tolerates hot sun to dry shade, poor soil, clay soil AND it’s deer resistant. Highly drought tolerant and a cottage garden classic, Lychnis coronaria, better known as “Rose Campion”, is tough as nails and produces gorgeous deep fuchsia-colored flowers in Summer, offset nicely by silvery-gray foliage. Self-sows reliably. 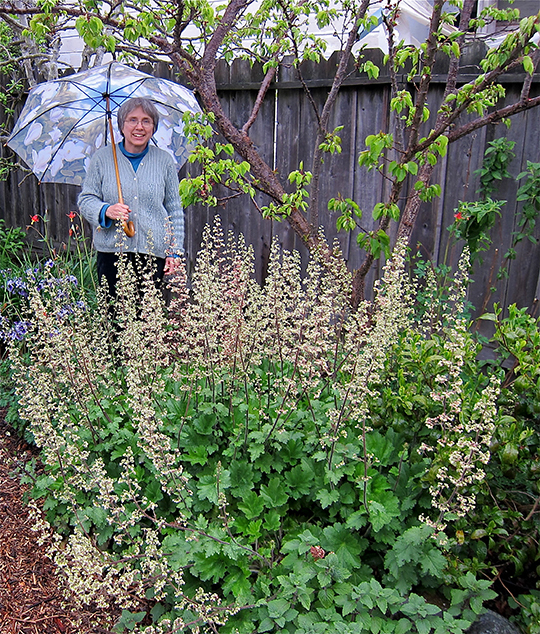 CA native Heuchera maxima is happy under oaks. 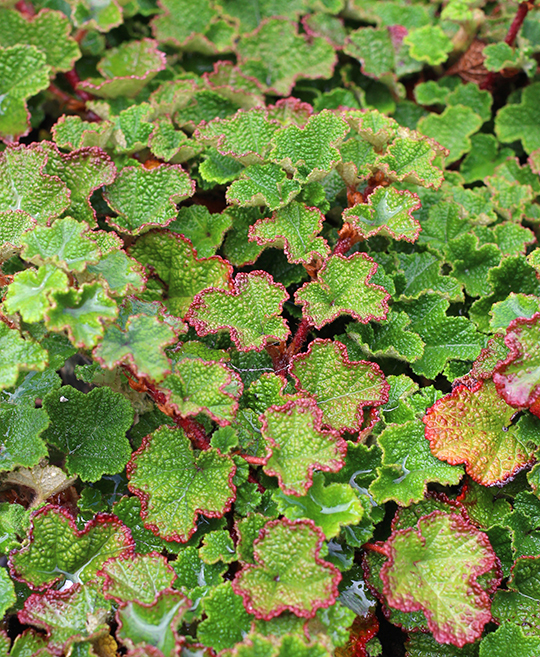 For shady areas, CA native Heuchera maxima is a durable and long-lived choice. If you’ve ever had problems with the colorful hybrid Heucheras (and many people have), they can’t hold a candle to the toughness of this species. Attractive upright blooms over a much longer period in Spring, too. Here, the main challenge is that you’re usually dealing with a larger area. Ideally, you want each plant to cover up to a three-foot diameter, especially if you’re concerned with erosion control. 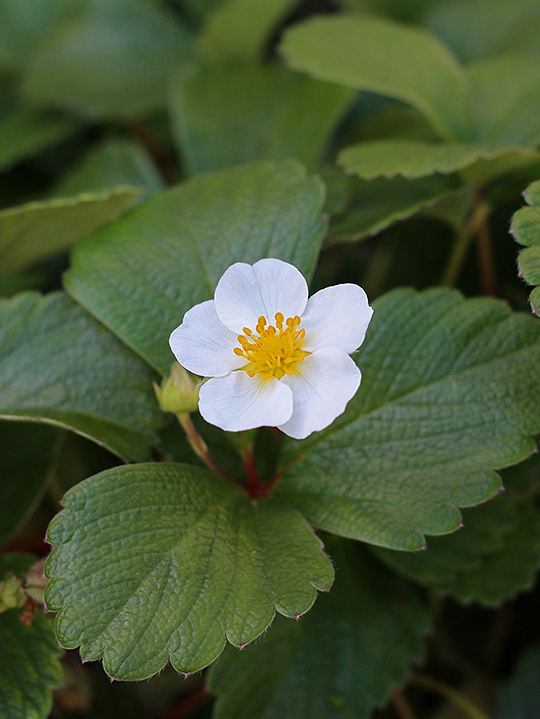 Strawberries may seem like an odd choice for the job but Fragaria chiloensis, a California native often known as “Beach Strawberry”, is one tough, low growing customer. The fruits may not be that edible but it’s a great plant for erosion control. Geranium pyrenaicum ‘Bill Wallis’ – fast, tough and EASY, it won’t fade away if you forget to water. 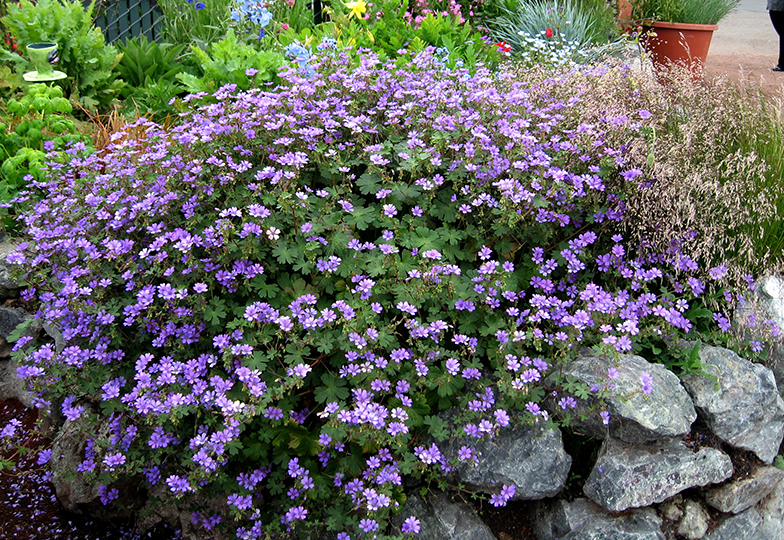 Same goes for Geranium pyrenaicum ‘Bill Wallace’. Fast-growing to 18” across, it blooms over a long period with a mass of single, purple flowers and self-sows reliably to fill in any empty spaces. Among the many handsome heat and drought tolerant groundcover Manzanitas, Arctostaphylos edmundsii ‘Carmel Sur’. 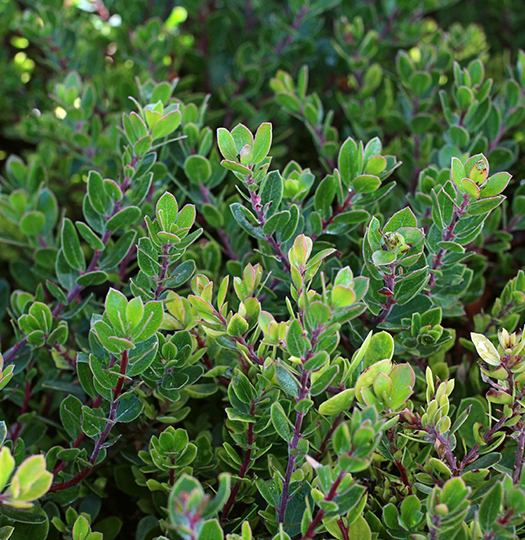 Three more of my favorite plants to recommend for hillsides include low growing Arctostaphylus (Manzanita) – a tough and popular choice by knowledgeable landscapers (always a good sign). Its only drawback is that it’s slower than other choices. Rubus calycinoides – tough and dependable, weed suppressing, but not invasive. How about a bramble? No, not the bramble that Brer Rabbit dove into but a low growing species called Rubus calycinoides. It sports lovely dark green crinkled leaves and even if it doesn’t flower readily, it makes a handsome, dense, spreading mat to 4” tall by at least 4’ wide. Tough doesn’t even begin to describe this guy and it can handle a shady location, too. 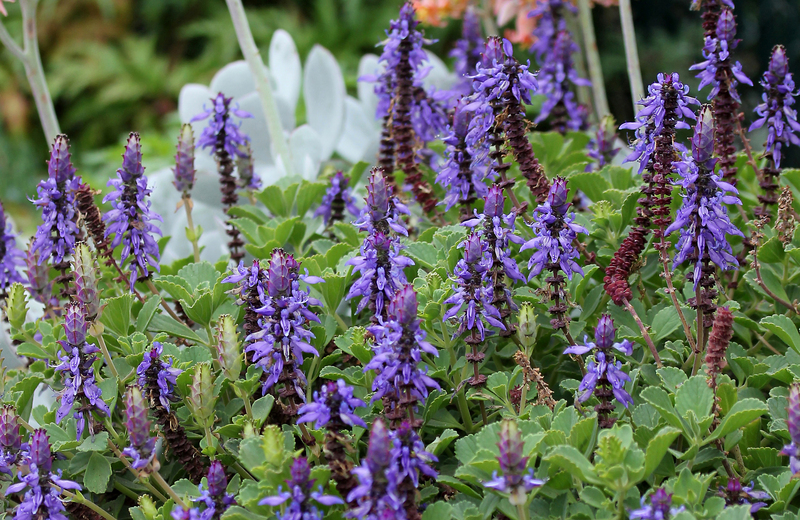 Plectranthus neochilus – a smart choice for carefree edging in sun or shade and dry, difficult spots. Another shade lover is Plectranthus neochilus. Plectranthus have a well-earned reputation for toughness and adaptability and this one doesn’t get too tall. Carex pansa – mowable lawn substitute is tolerant of traffic and diverse soil types including both sand and clay. 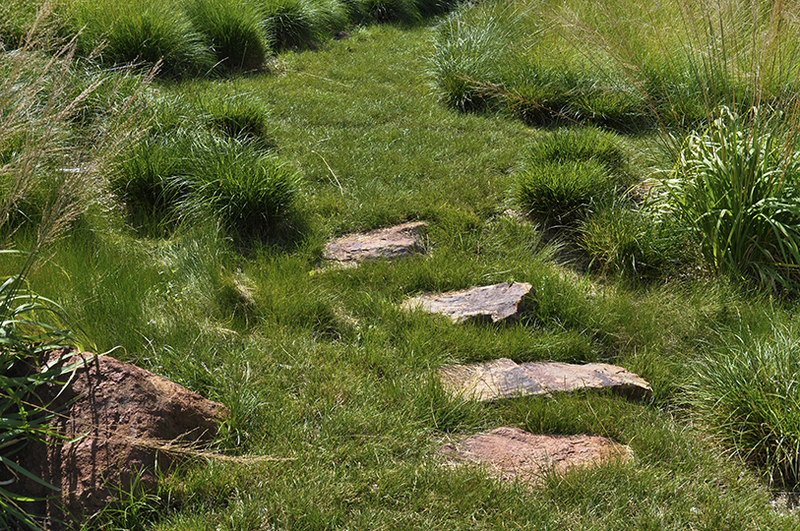 Grasses aren’t always the best choice for a dry garden but the California native Carex pansa is the exception. Staying low (4-6”), it spreads by rhizomes to cover a good-sized area over time. With year-round good looks, it’s evergreen and an excellent, mowable choice for dog yards. 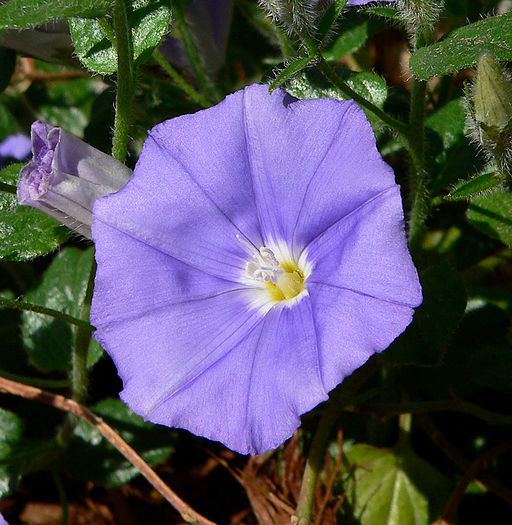 If you’re looking for something to provide color over a long-season, consider Convolvulus sabatius, better known as “Ground Morning Glory”. Sporting pretty single lavender flowers almost year-round along the coast, this fast-growing evergreen mounder/trailer is tenacious and stays low, to just 1’ tall by 3’ around. 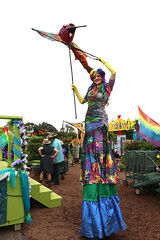 Earl Nickel is a professional nurseryman, gardening writer and photographer living in Oakland CA. He’s writes a regular column for the SF Chronicle and Pacific Horticulture magazine. ← Help our Mighty Monarchs Make A Comeback! Great piece! Isn’t the author’s name spelled Erle Nickel? 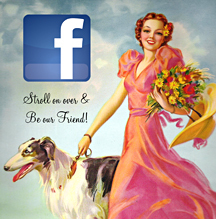 Erle is now going by Earl – but he says he’ll still answer to Erle! I garden in Sacto and have overcome the drought problems by planting after the first autumn rain. Except for tropicals and summer vegetables. 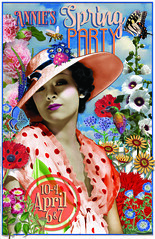 Everything is established by spring with minimum supervision. Toughest problem is acquiring plants at that time of year. Cold weather “annuals” planted in the autumn return year after year. Planted in the spring, they behave as short-lived annuals. That includes alyssum.